So get yourself over to Schramm's this weekend and buy some. 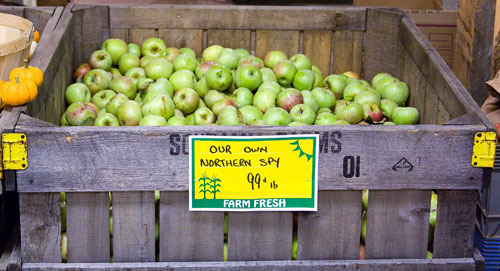 In addition to my favorite crunchy, tart, perfect apple, they have also unleashed the Stayman-Winesaps, which are a perfect apple for in-hand eating, and the Spygold, a hybrid that's fairly good for apple pies. This weekend, I will be making apple pie. Oh yes. what a nice article about schramm's!! we make it out at least once a month... but then it is right down the road from us.